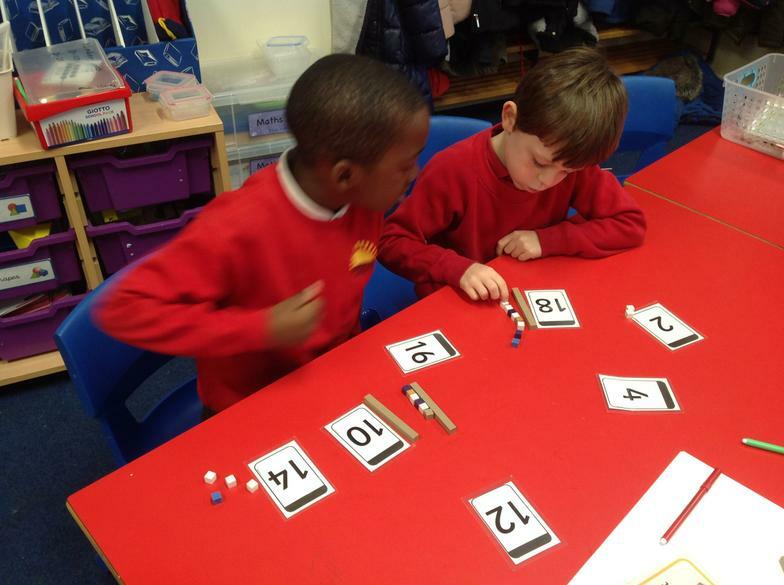 Count and calculate in a range of practical contexts. 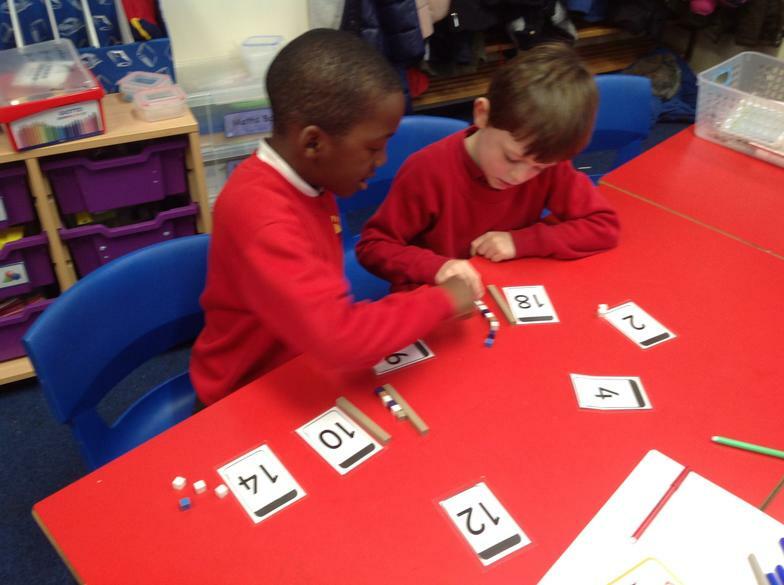 Use and apply mathematics in everyday activities and across the curriculum. 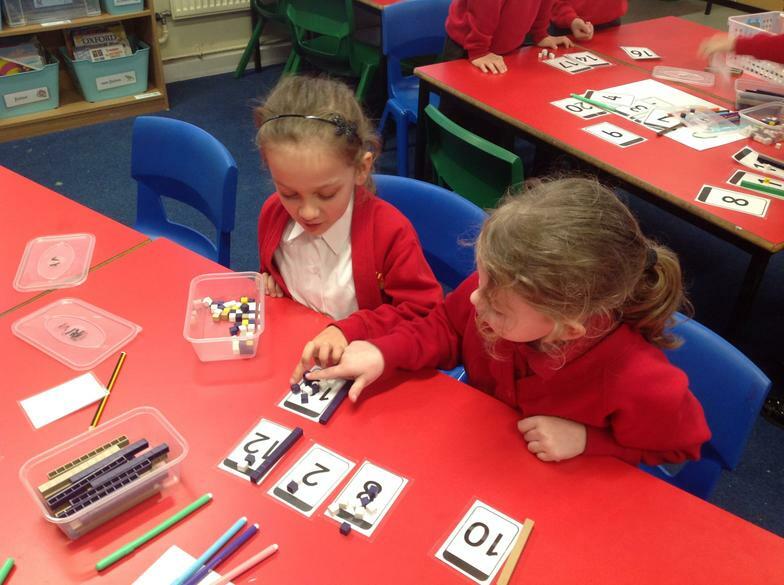 Repeat key concepts in many different practical ways to secure retention. 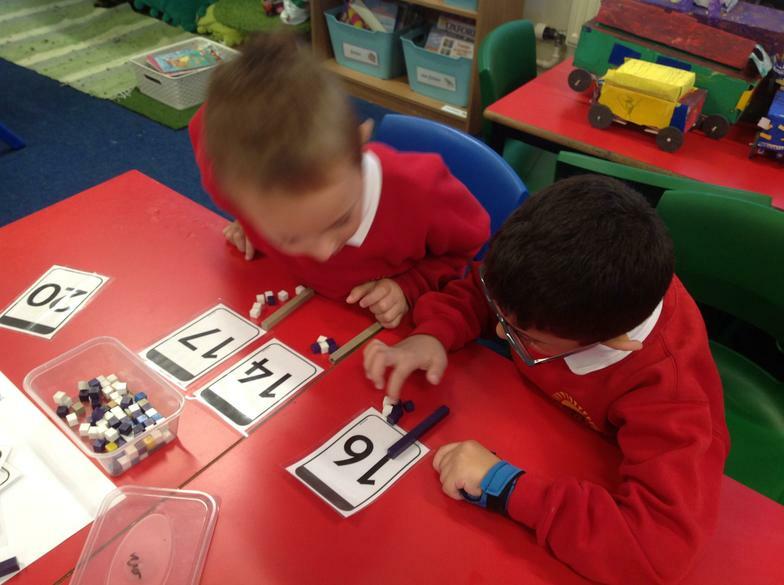 Explore numbers and place value up to at least 100. 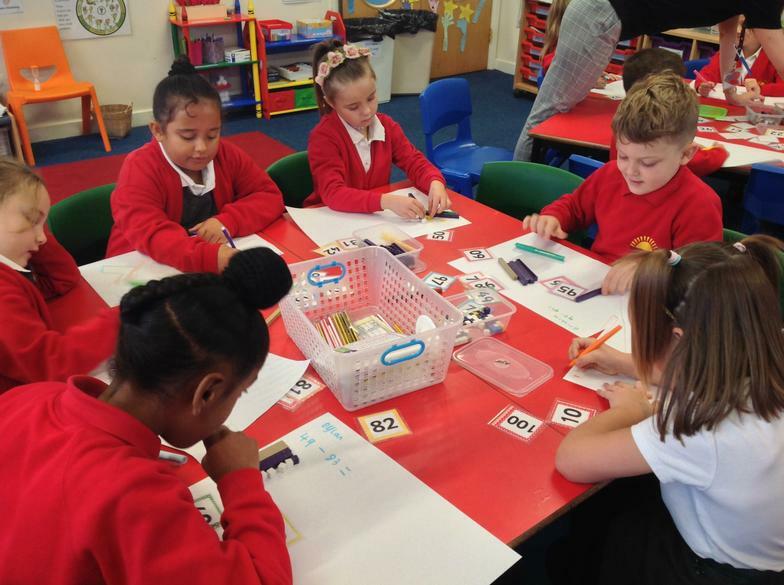 Add and subtract using mental and formal written methods in practical contexts. 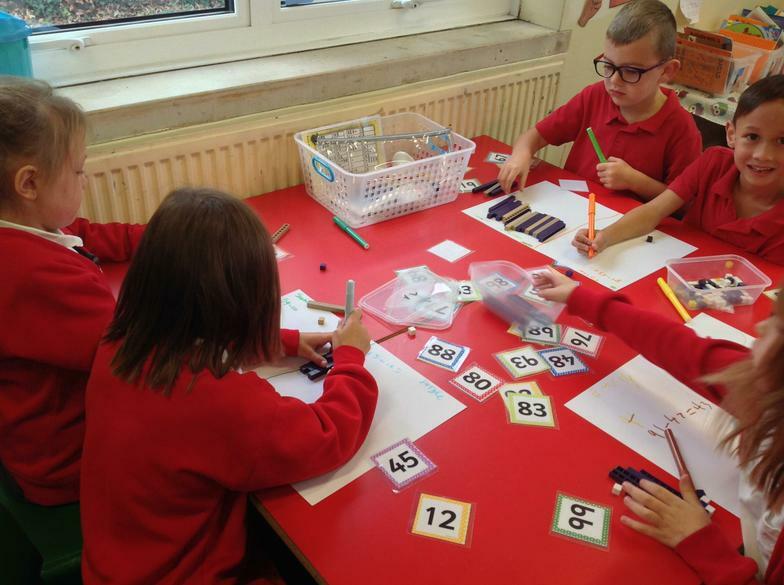 Multiply and divide using mental and formal written methods in practical contexts. 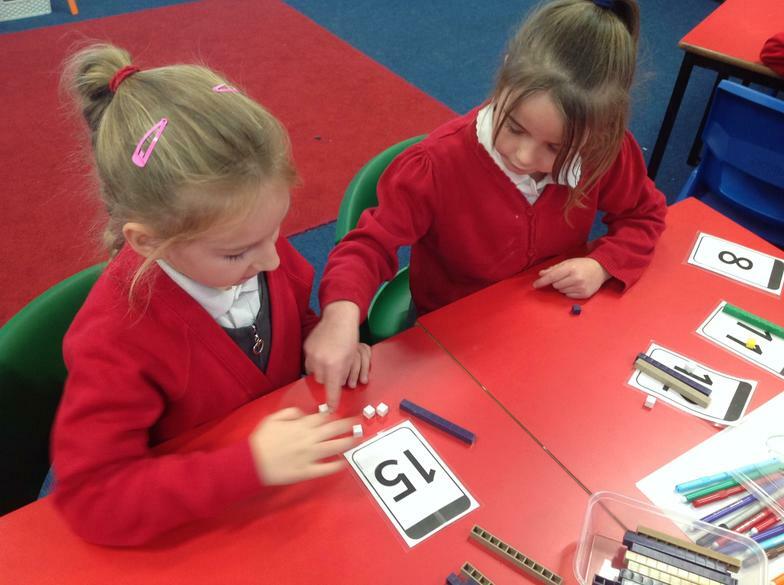 Explore the properties of shapes. 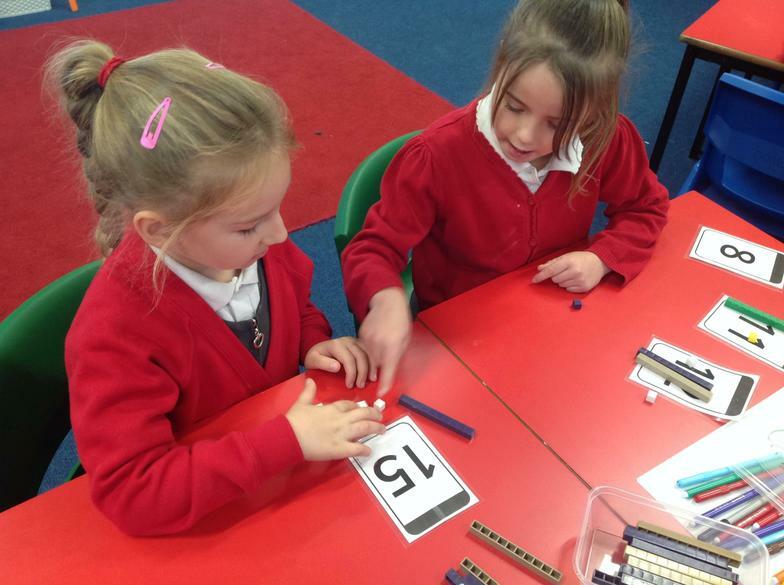 Use language to describe position, direction and movement. Use and apply in practical contexts a range of measures, including time. 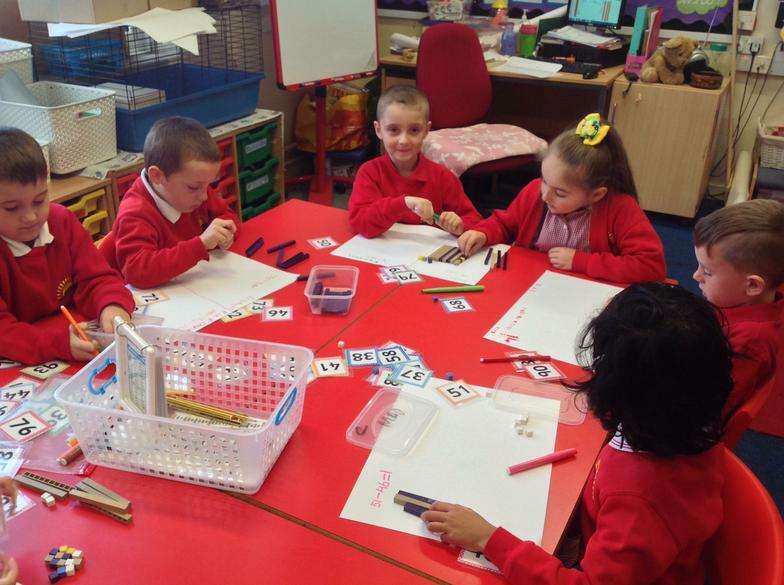 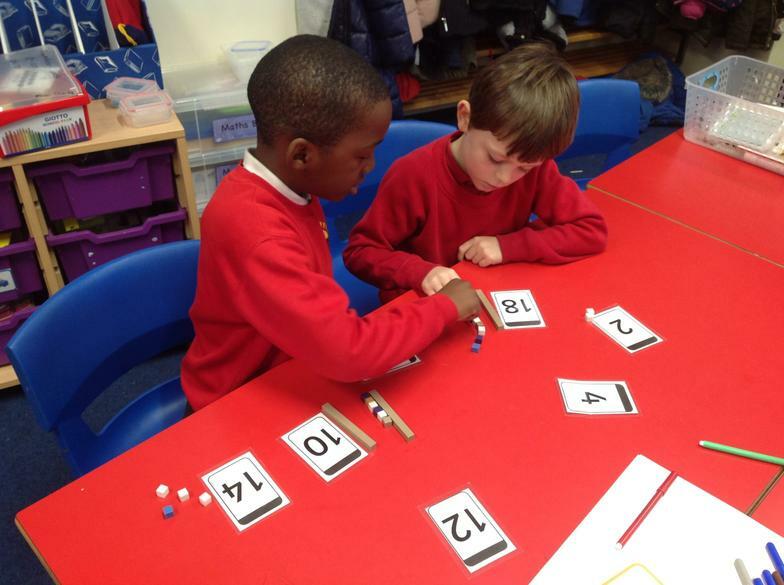 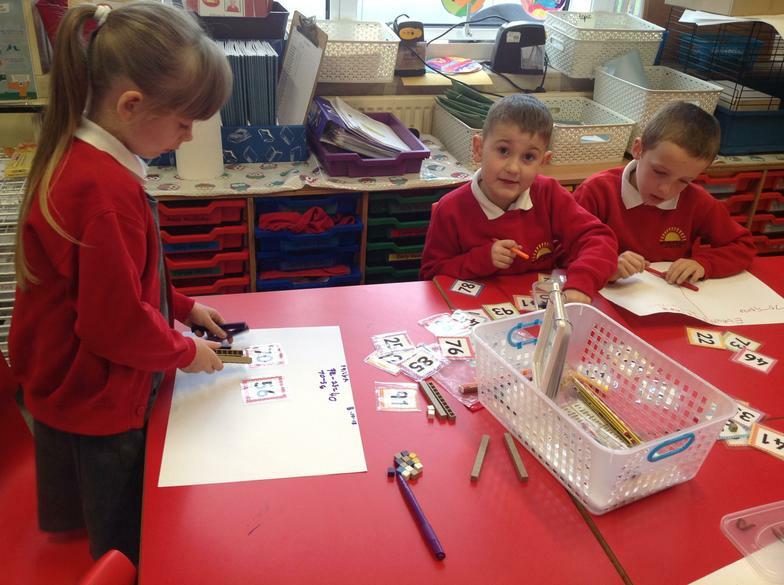 Here we are using diennes to represent tens and ones in two digit numbers. 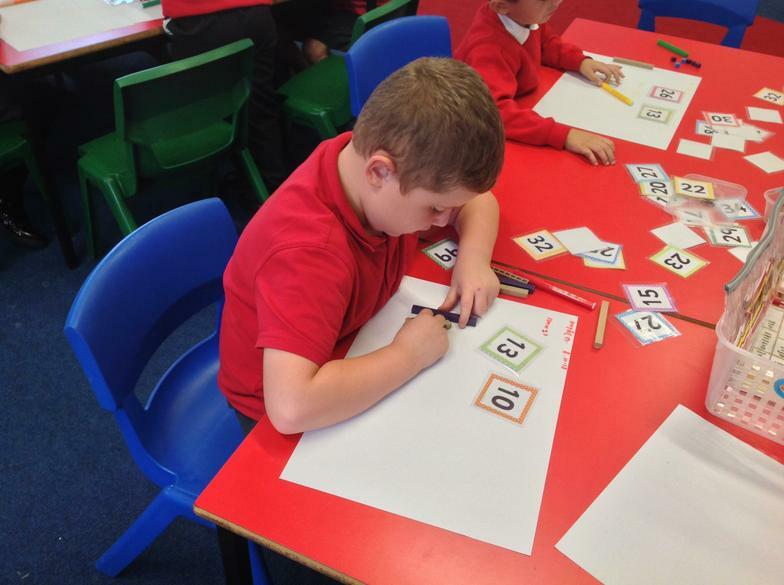 This week we are focusing upon subtraction. 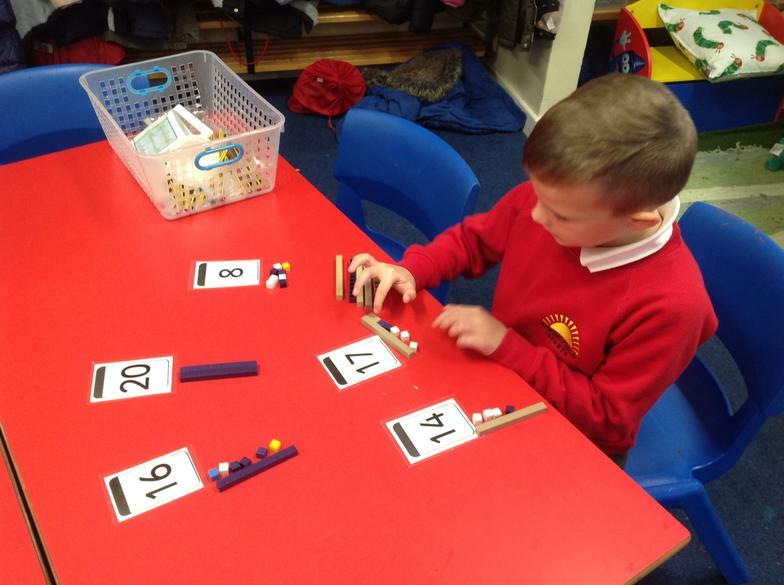 We begin the week using 'concrete' methods to help us solve problems. 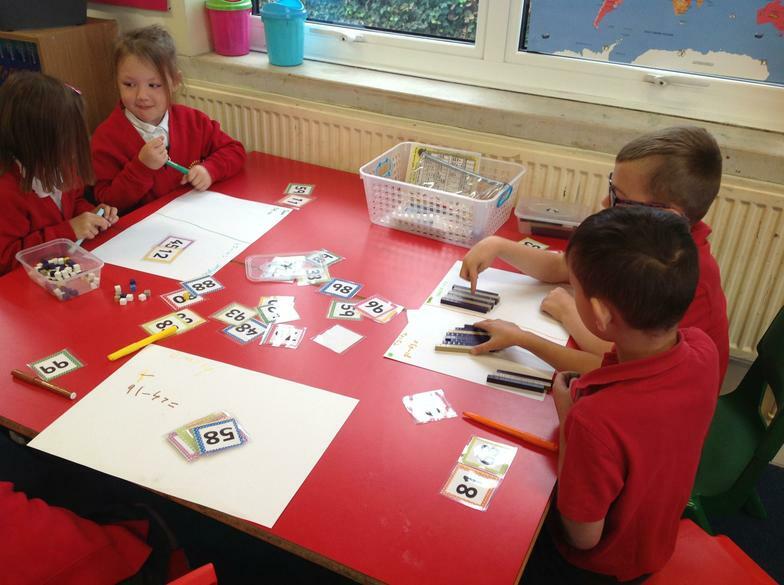 Here we are using dienes to practically solve the subtraction questions and then record the subtraction number sentence.